I just added a new header image to this web site – a photo taken by Miriam Babcock. Miriam died last year, and we all miss her more than we can say. She bequeathed her photos to a friend, who has been digitizing them. 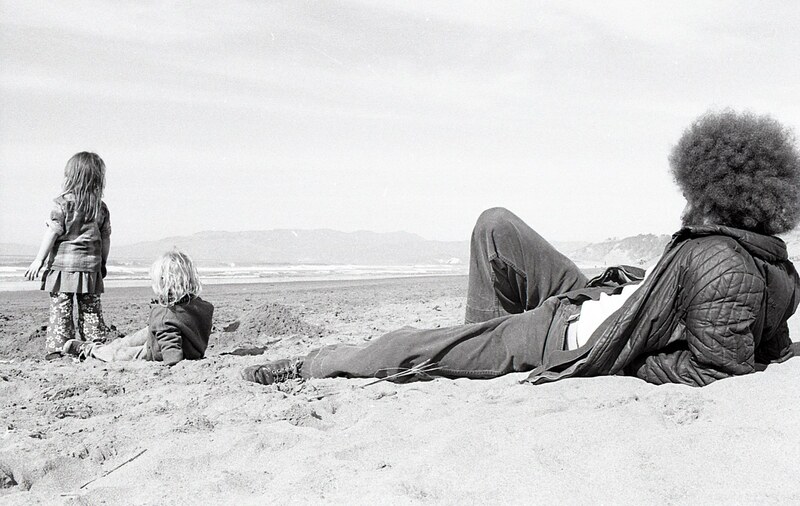 This is one of my favorites: Me, John, and Jacquot on the beach in San Francisco. There’s something fitting about using this photo of Jacquot, who died many years ago, taken by Miriam, who just recently died. Two people who I miss greatly.